High Tip Bucket - Reach It! - Move It! - Crush It! 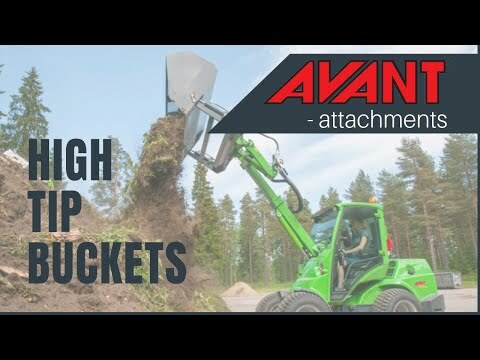 High tip bucket is the right choice when you need to reach higher and longer. The bucket is equipped with a hydraulic cylinder that pushes and tips the bucket over its front edge, which gives considerably more tipping height than with a normal bucket. Max. tipping height with telescopic boom on 300 series is 2710 mm, on 500 and 600 series 3150 mm and on 700 series as high as 3500 mm.